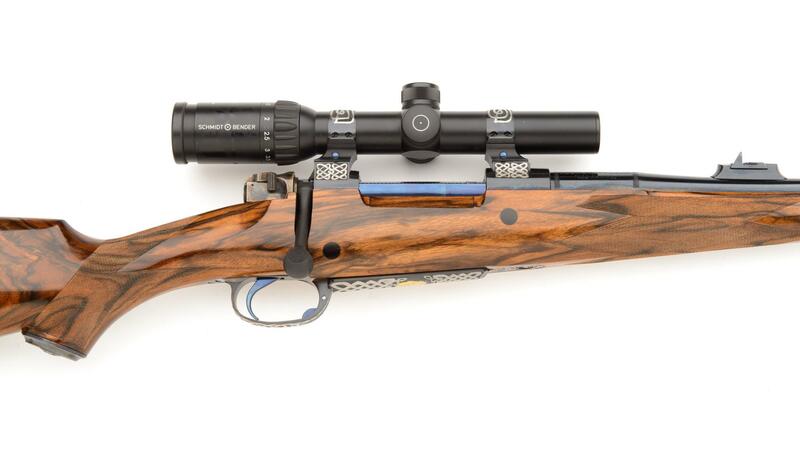 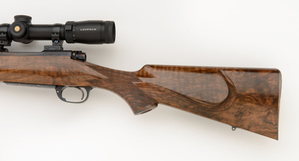 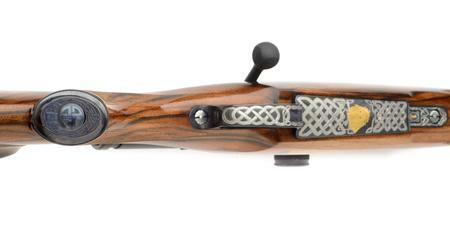 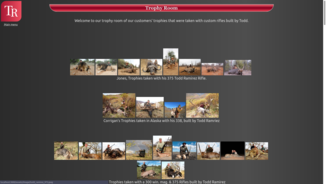 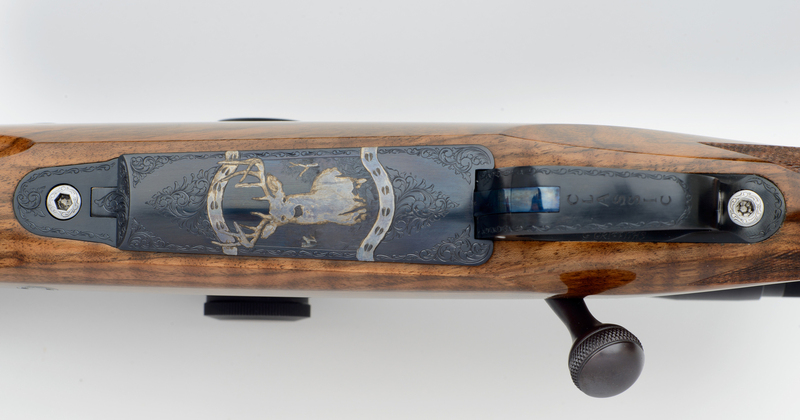 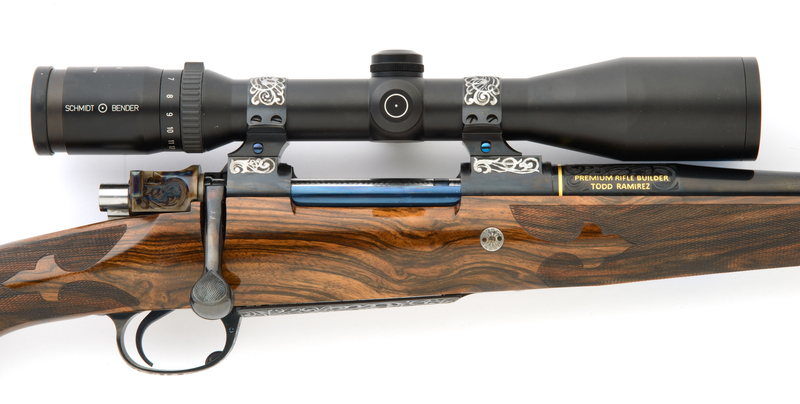 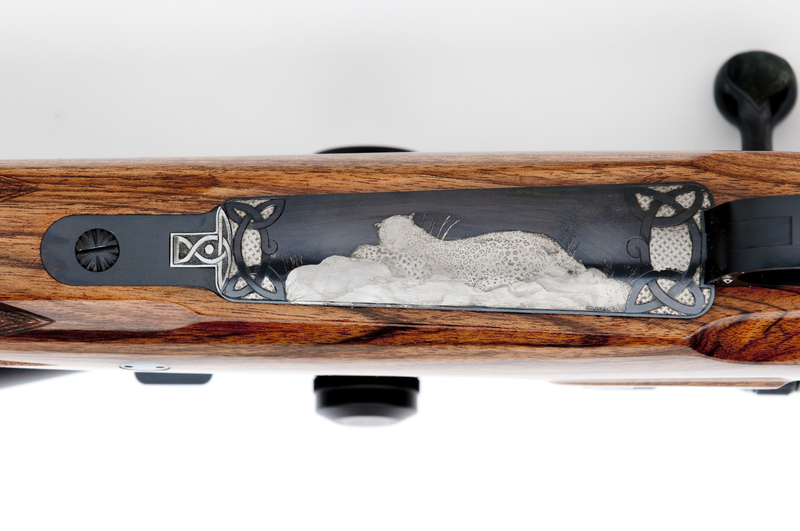 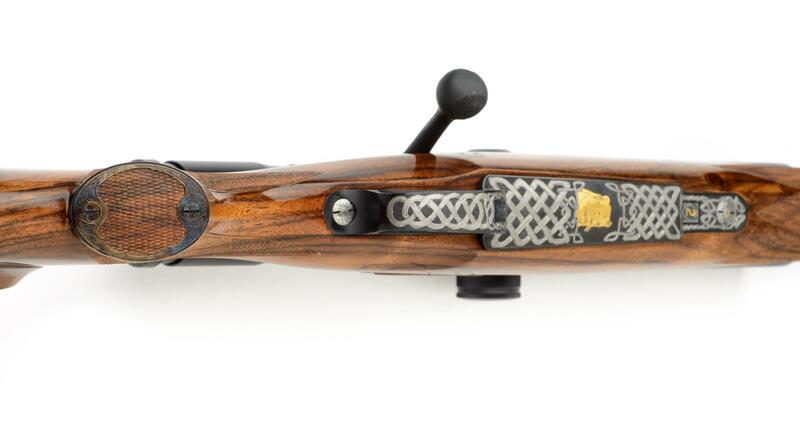 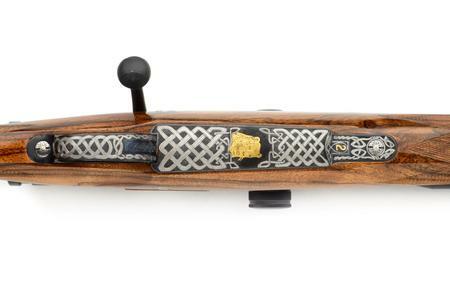 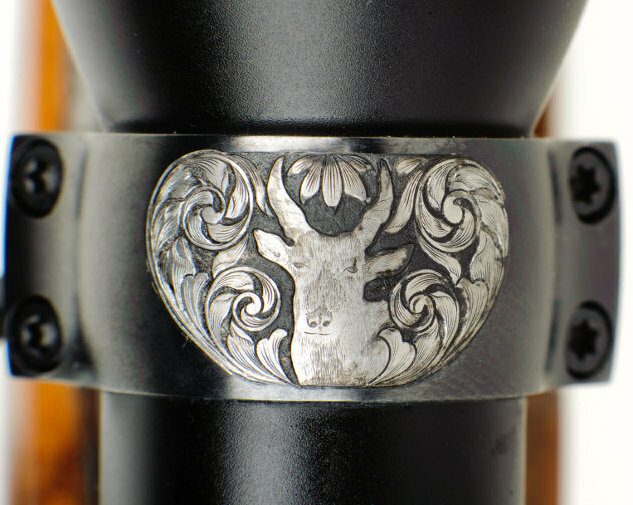 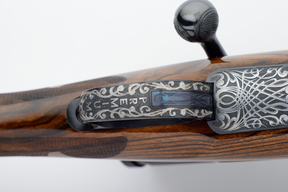 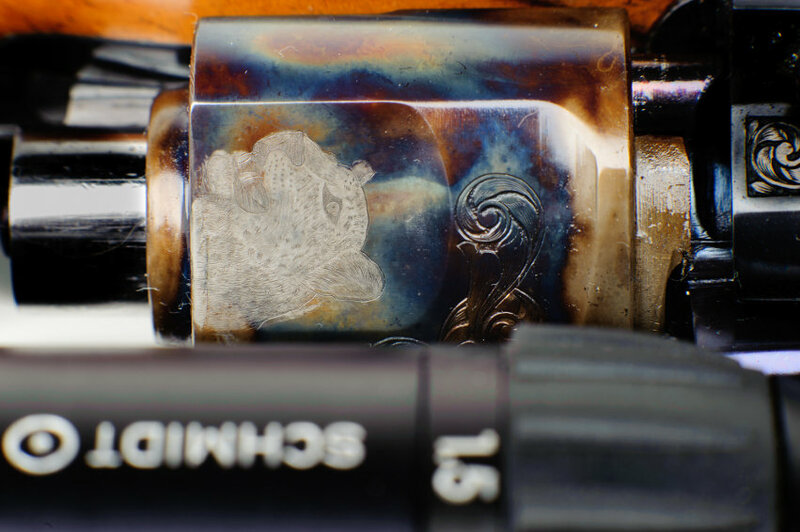 Todd Ramirez rifles are built with the finest craftsmanship in the world. 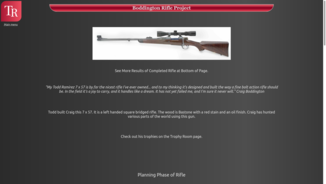 His rifles reflect English or American Classic style, with clean lines and elegance. Perfectly balanced and built to the highest standards with flawless details from metal to finishes. 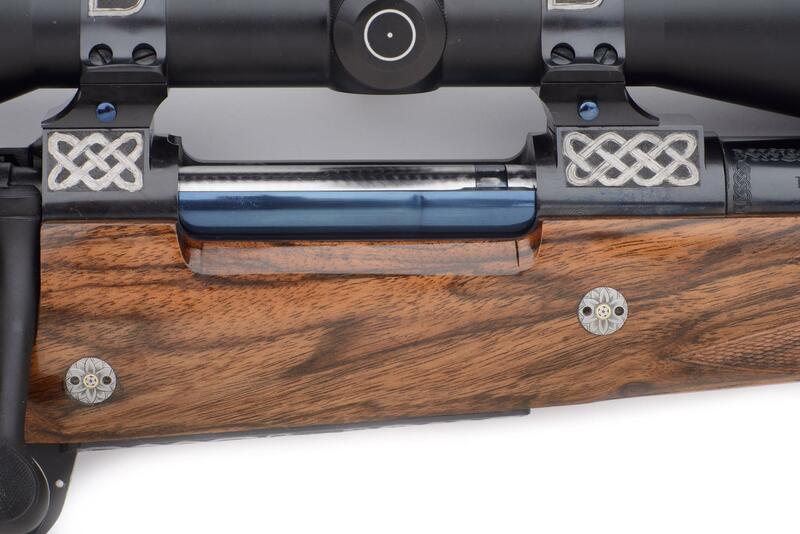 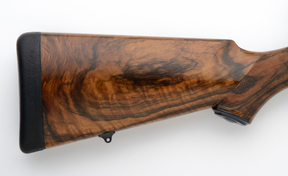 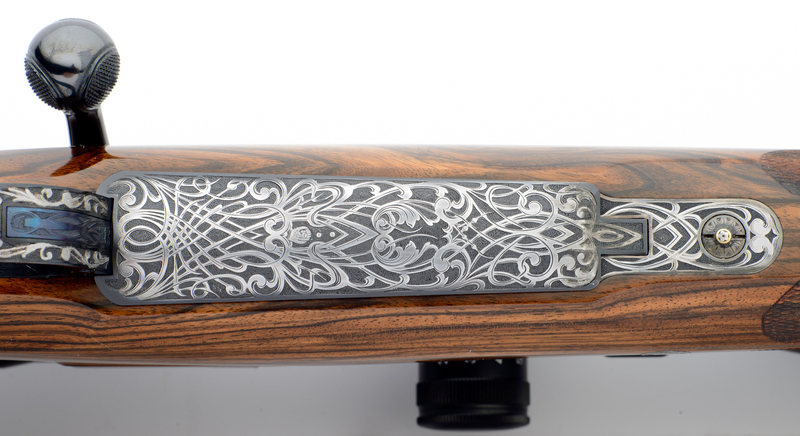 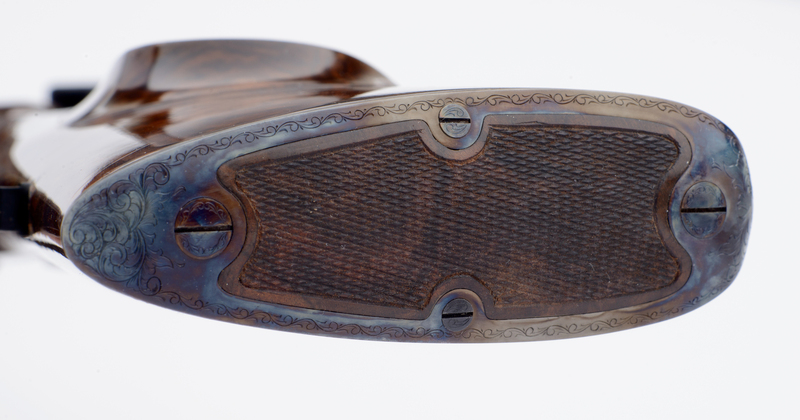 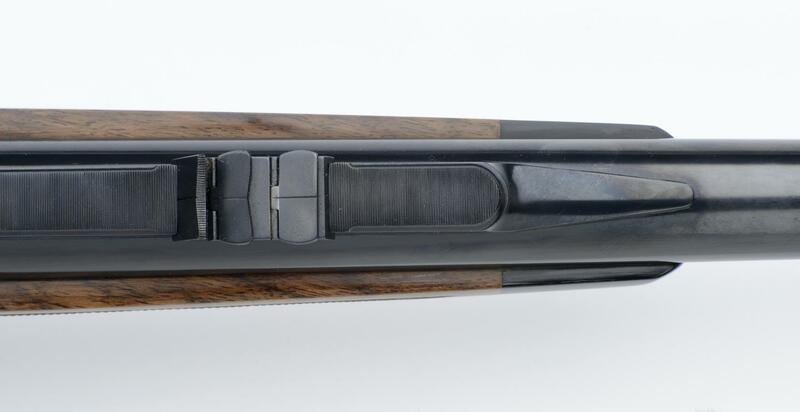 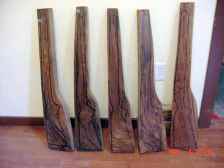 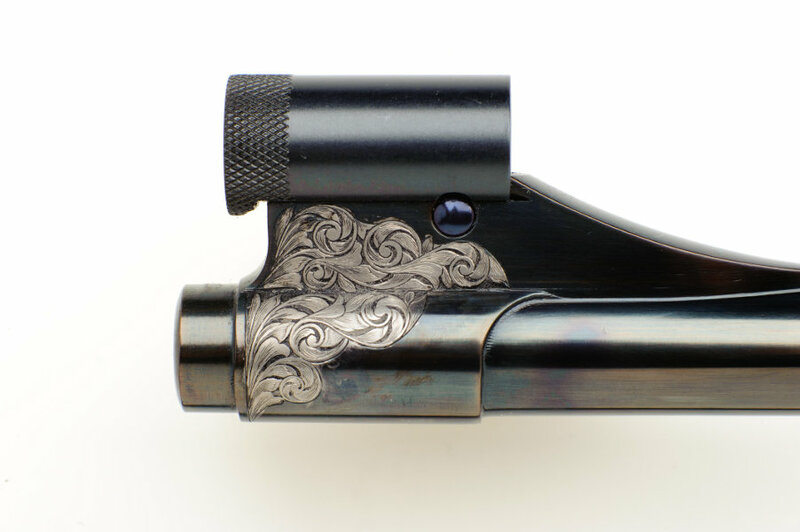 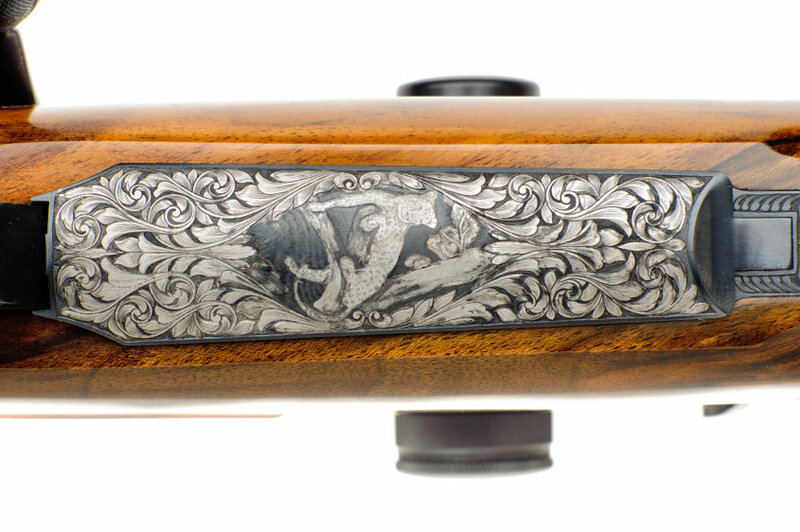 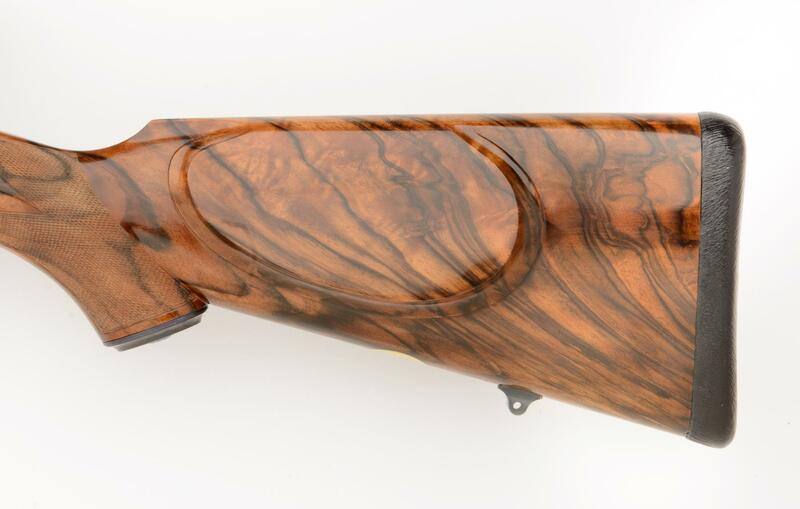 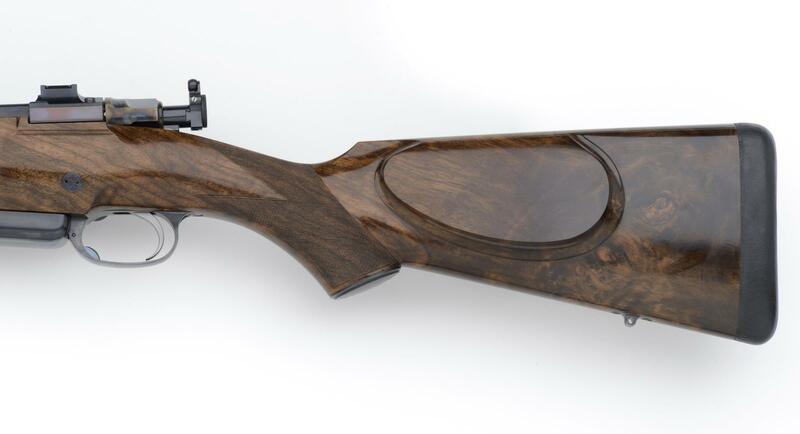 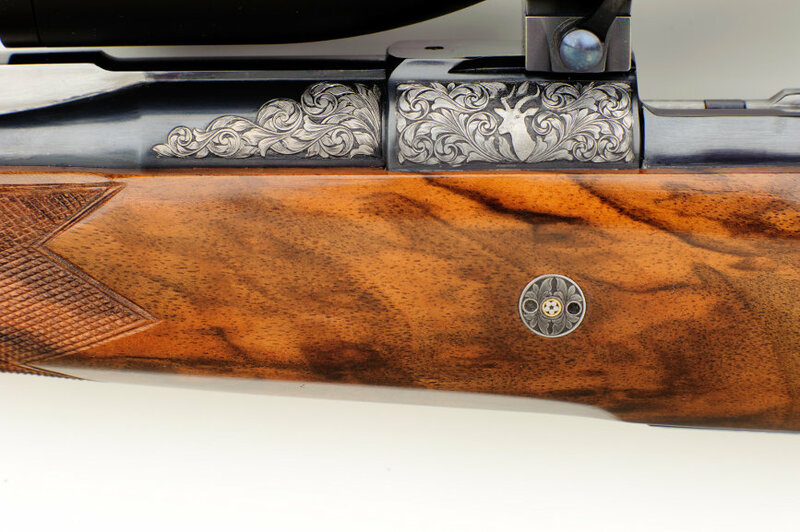 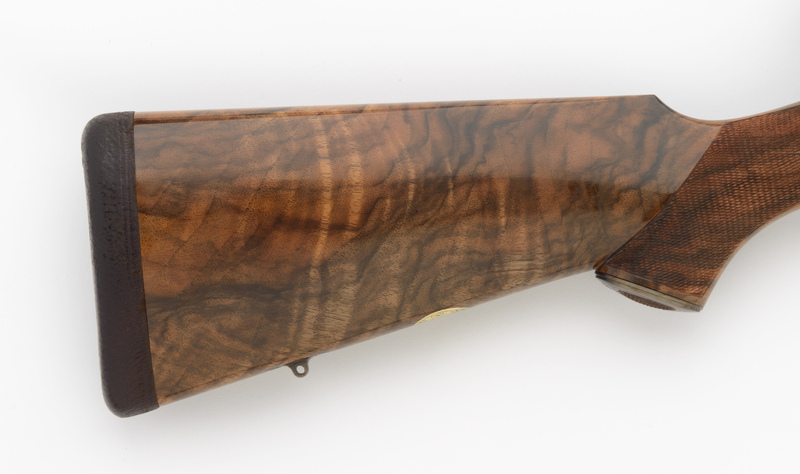 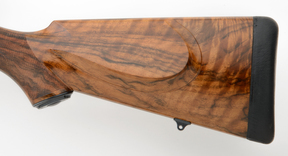 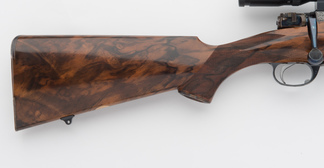 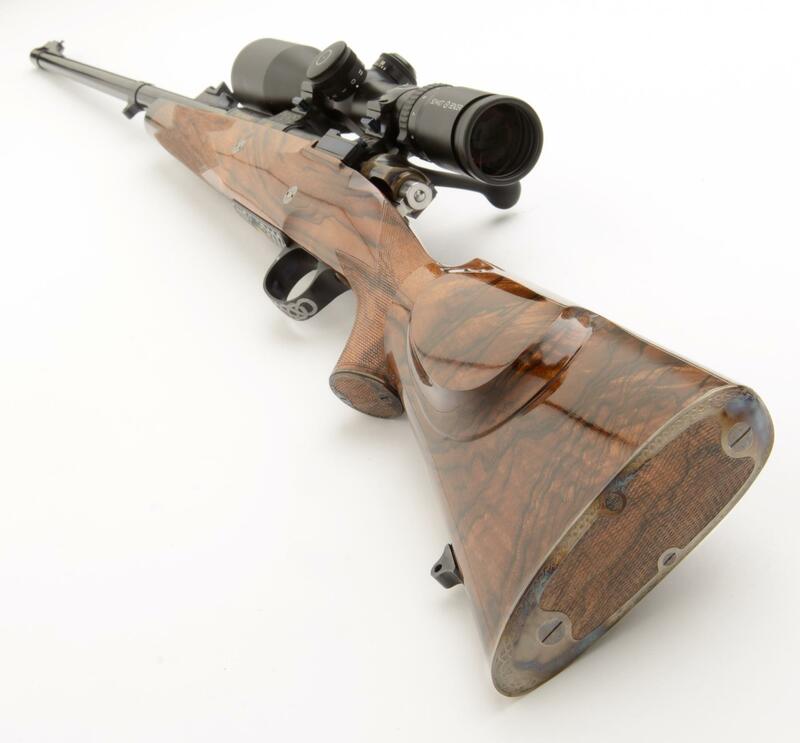 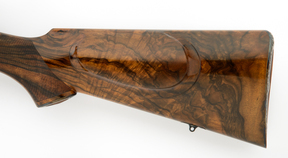 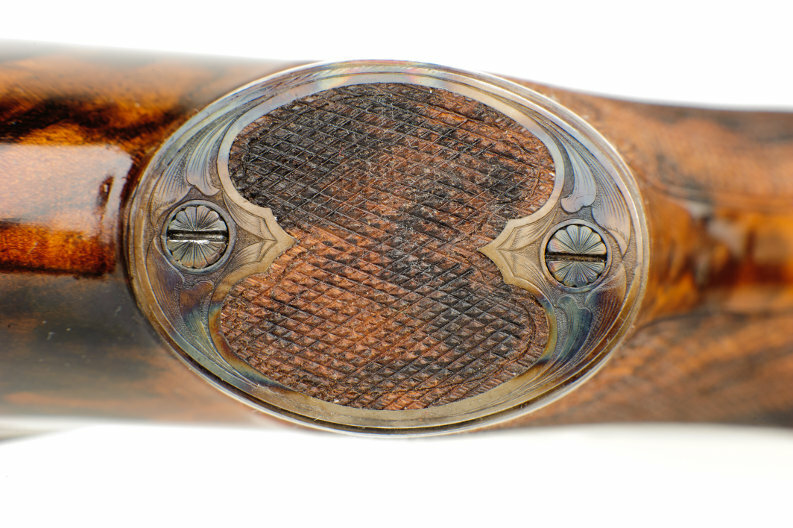 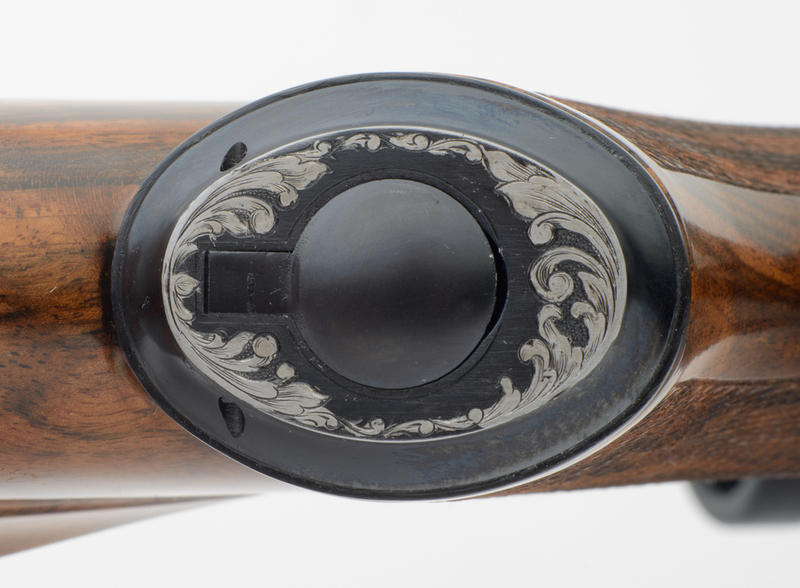 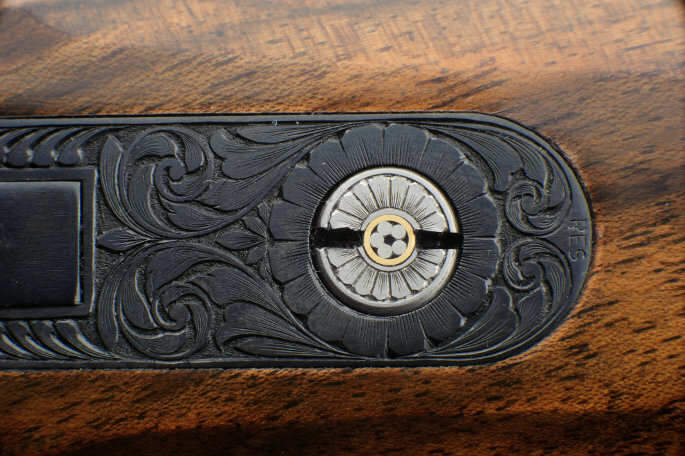 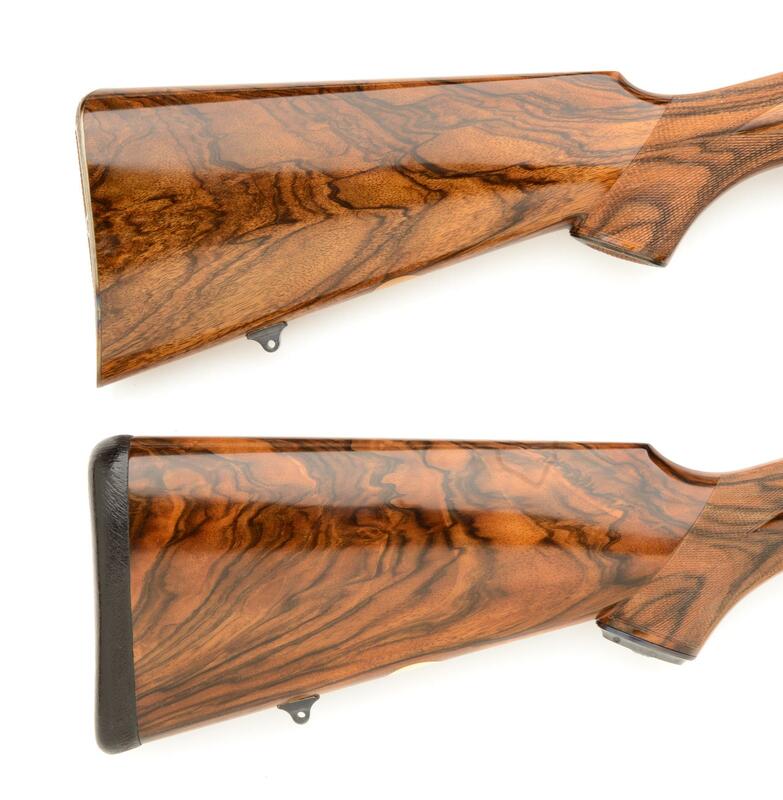 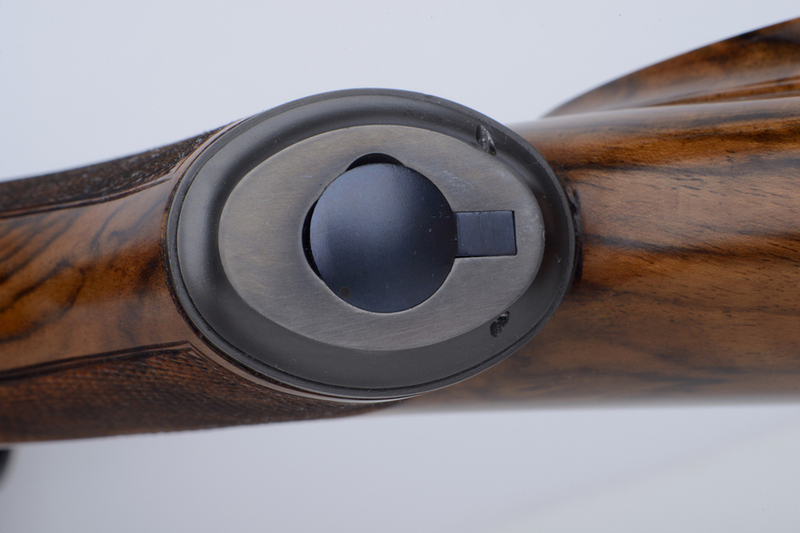 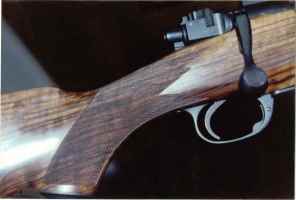 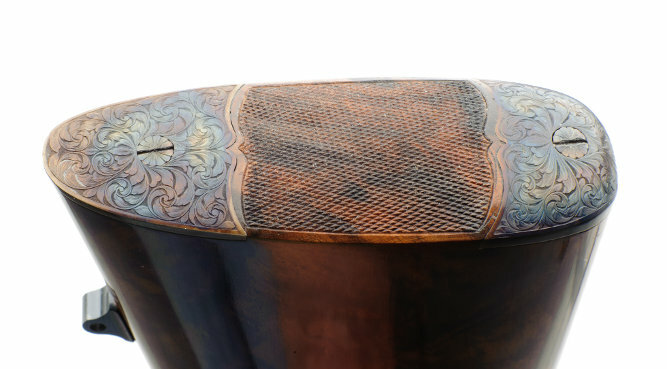 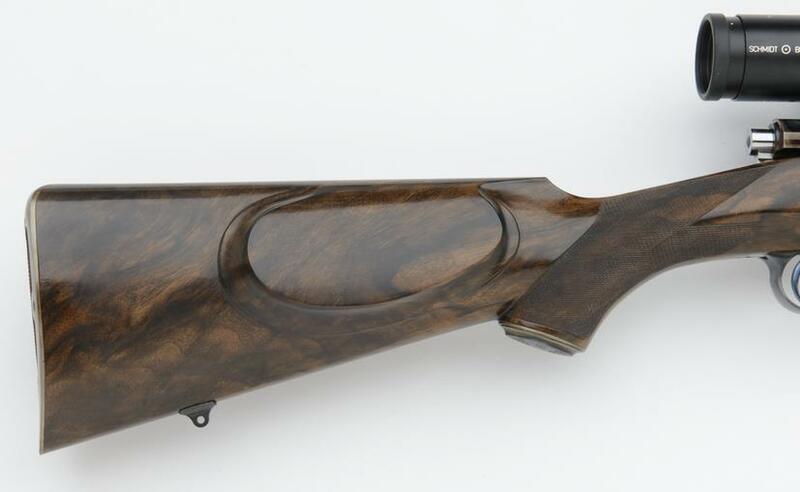 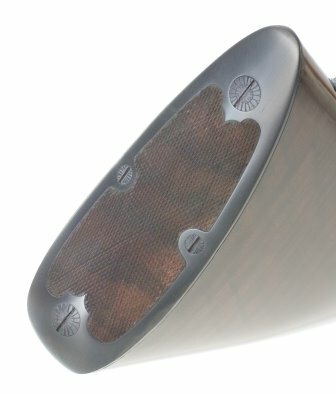 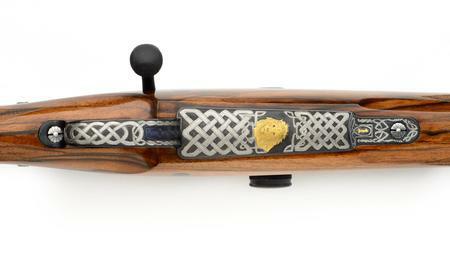 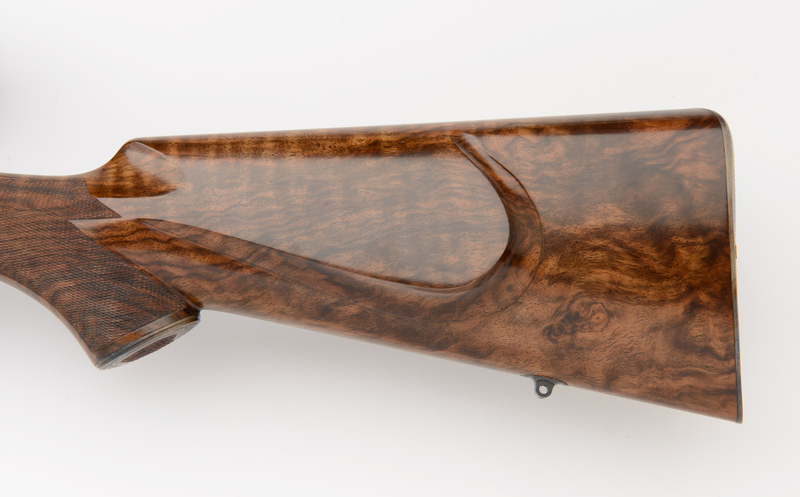 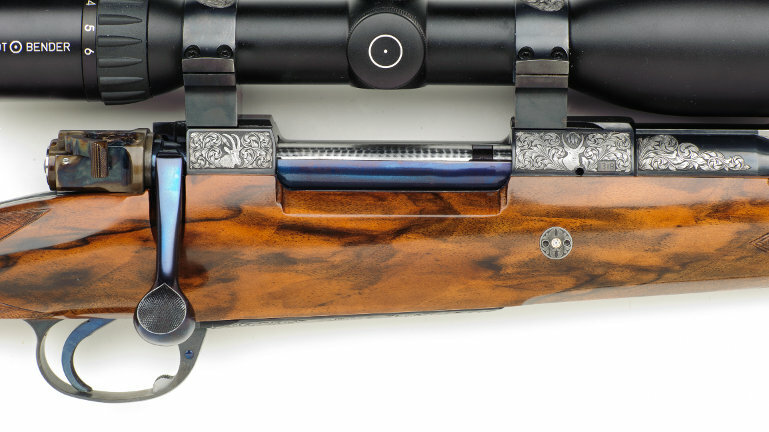 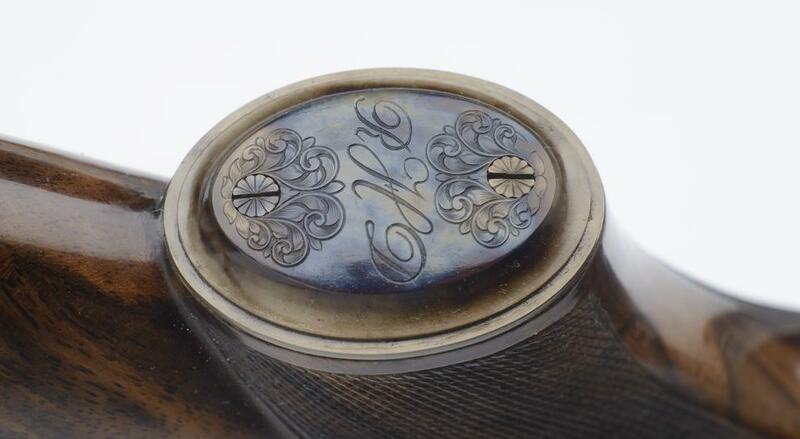 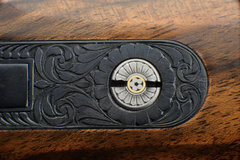 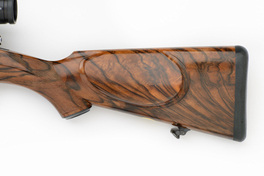 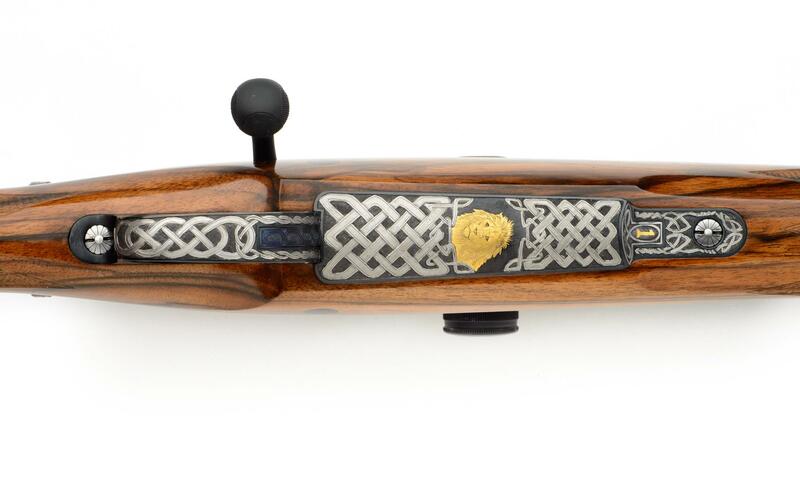 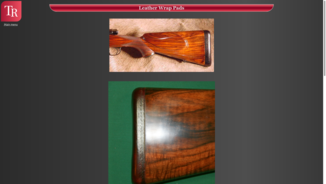 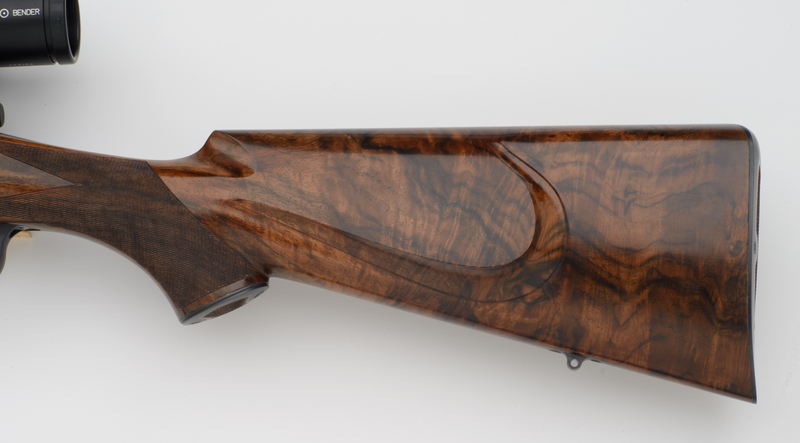 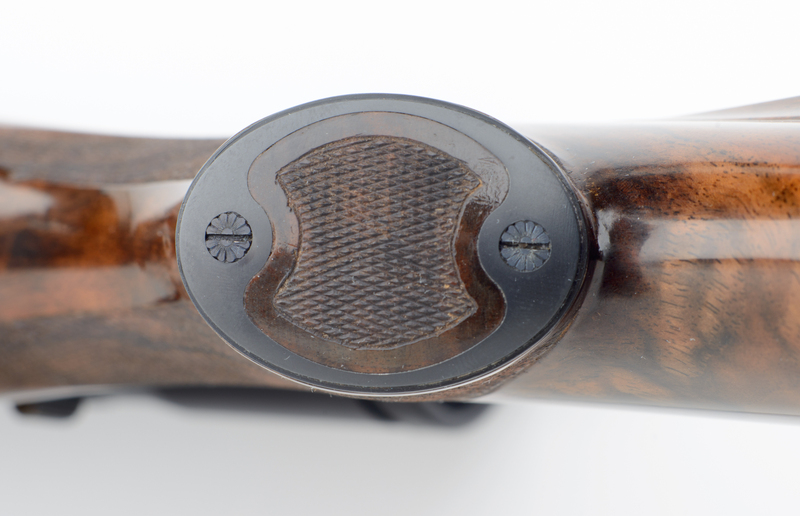 On each rifle the metal is hand polished and fitted, which gives a perfect balance between wood and metal. 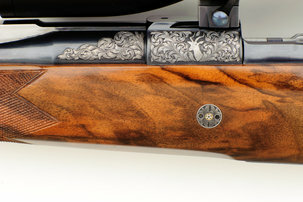 His specialty red stain with hand rubbed, highly polished oil finish makes his rifles truly unique and unmatched in beauty. 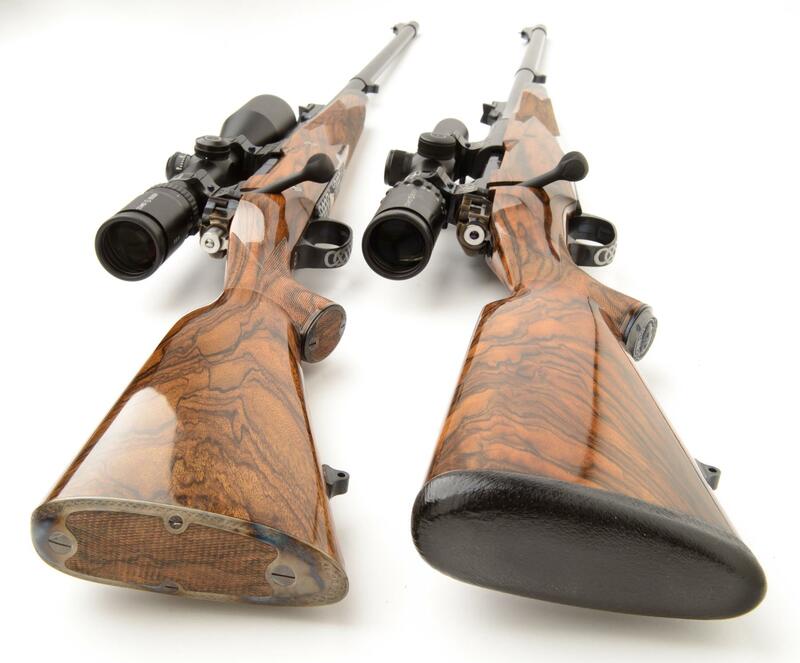 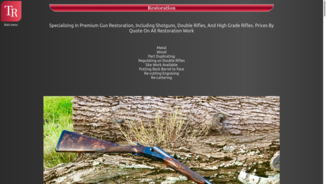 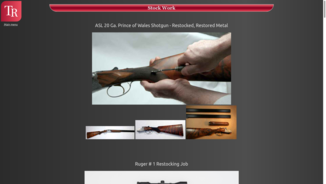 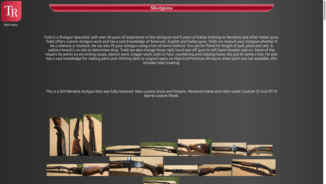 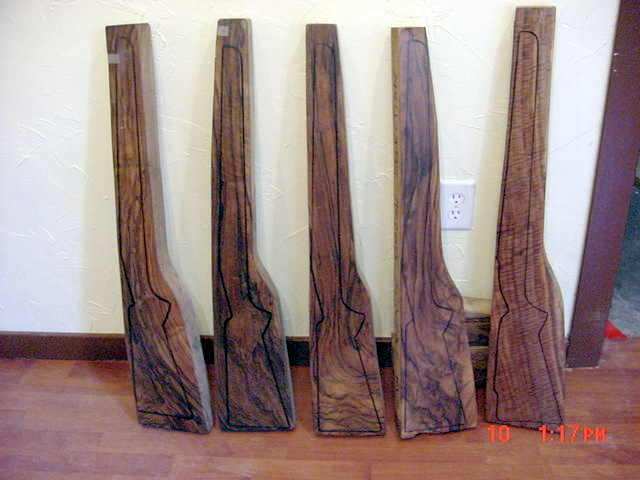 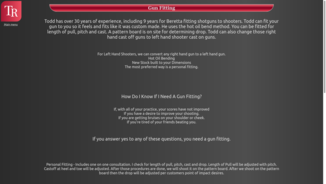 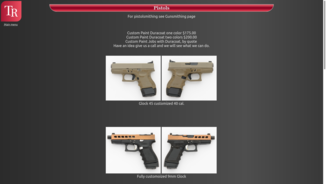 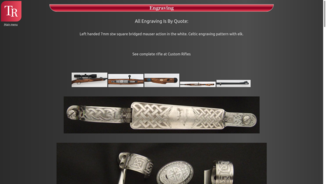 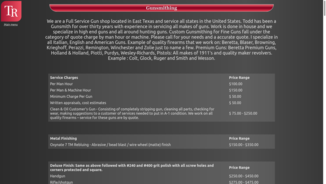 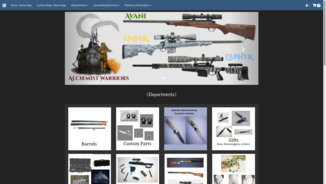 Each rifle is fine tuned to meet customer's specifications, desires and dimensions. 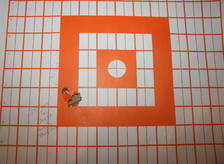 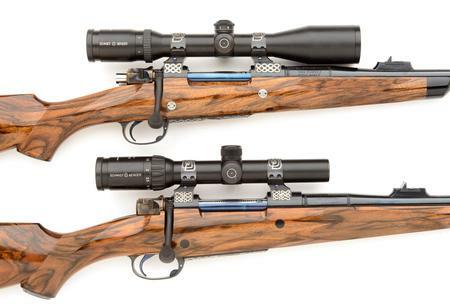 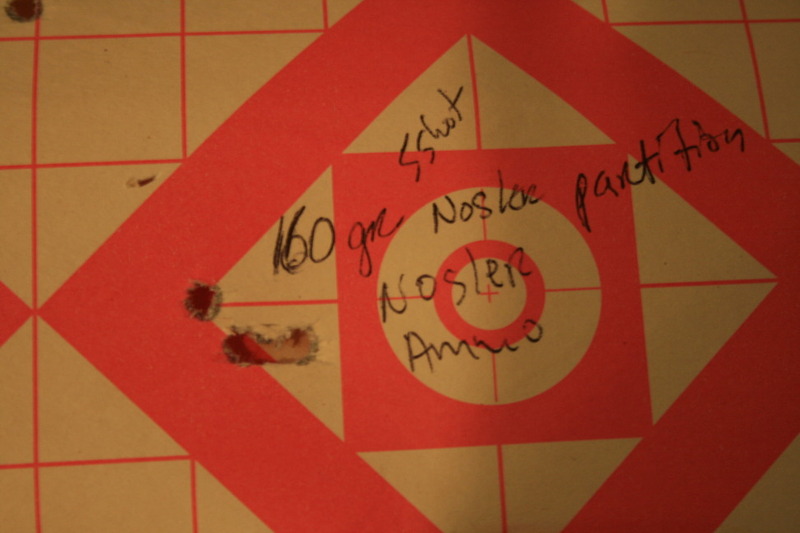 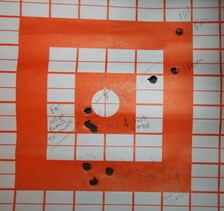 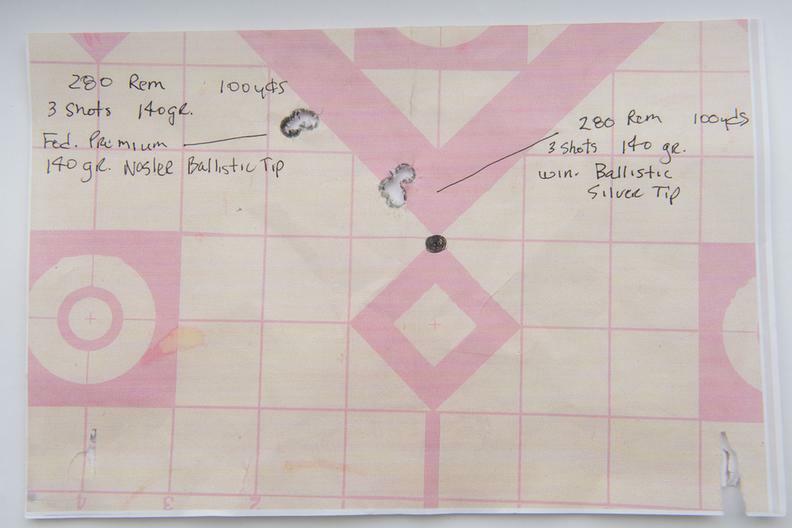 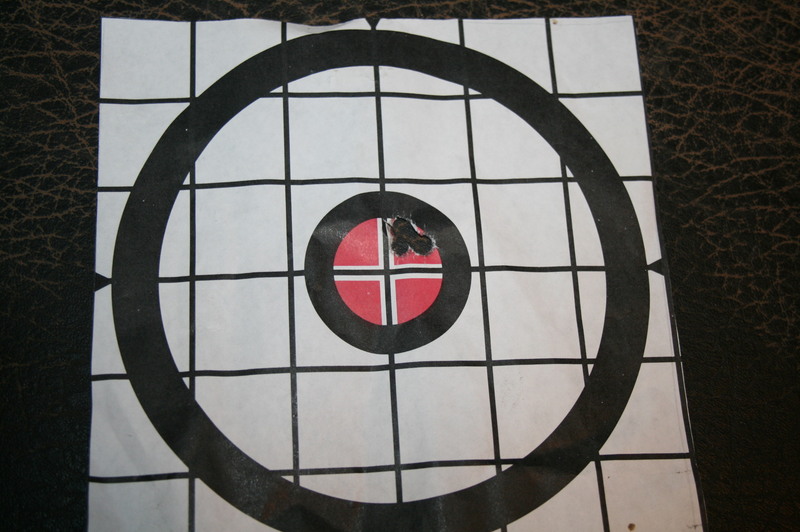 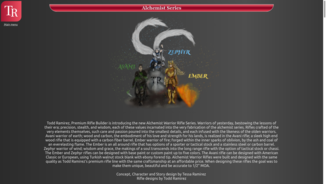 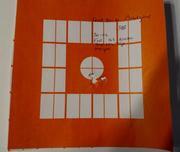 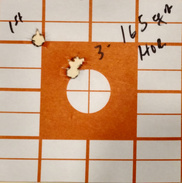 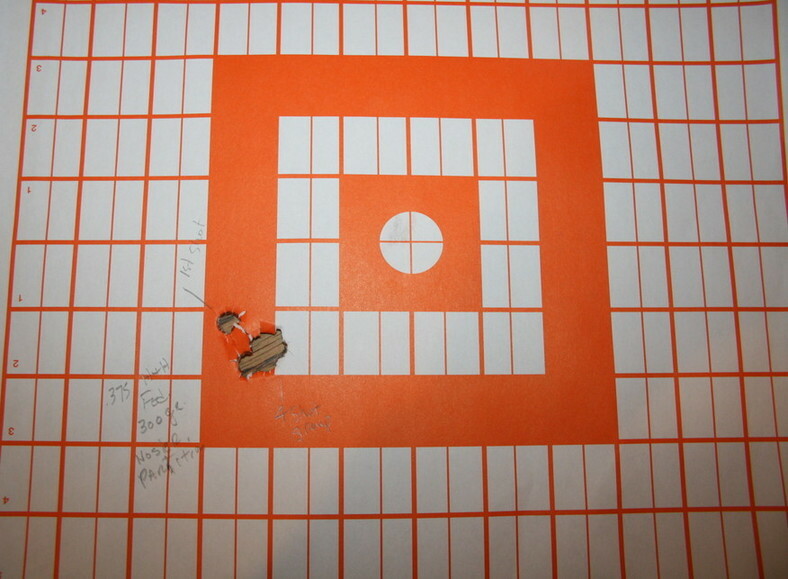 The rifles are built not only for aesthetic beauty, fit and function, but for accuracy as well. 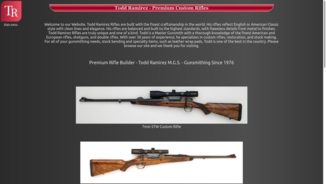 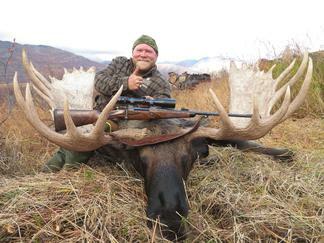 Todd strives to build the finest custom handmade rifles possible. 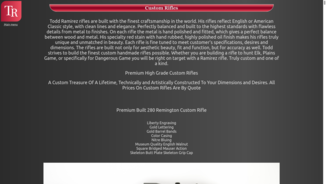 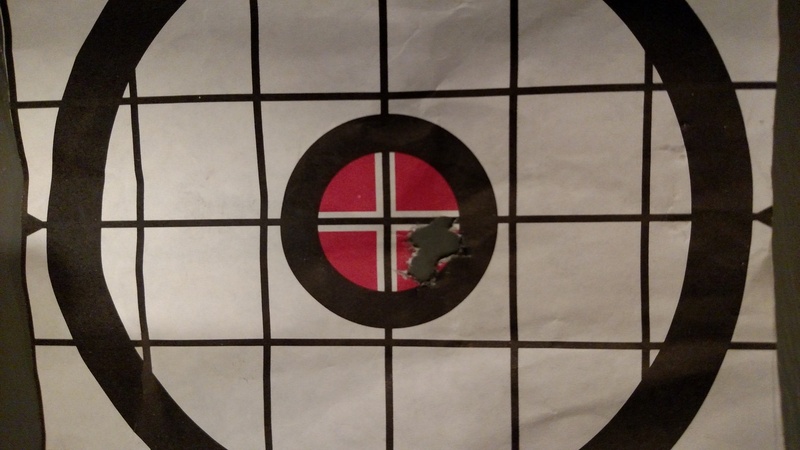 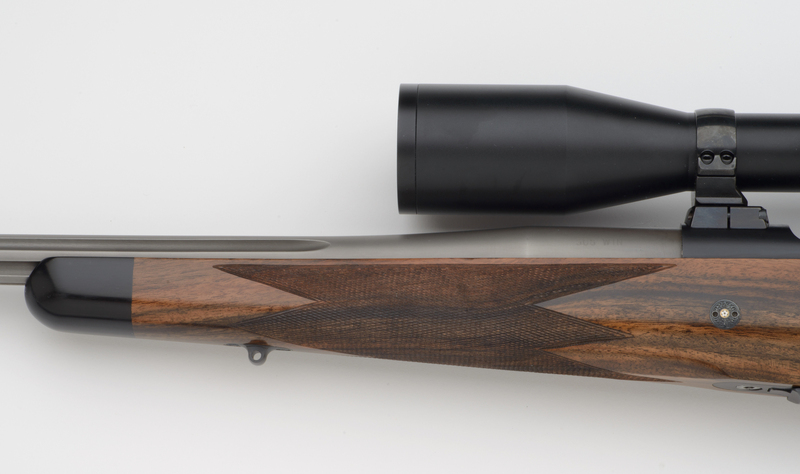 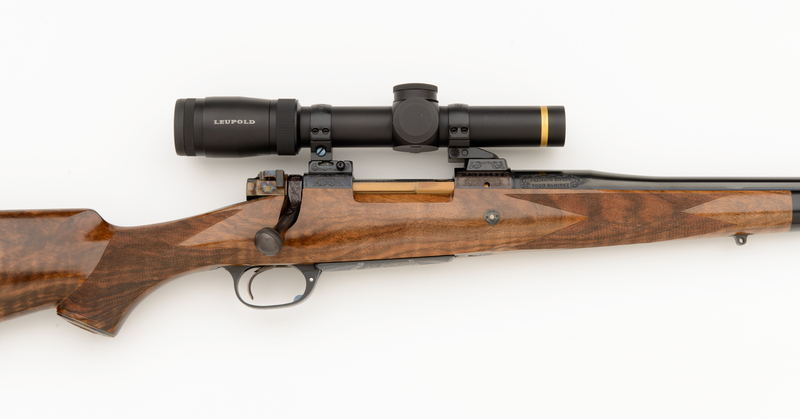 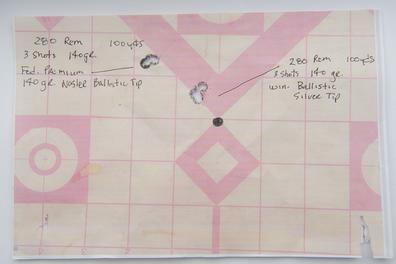 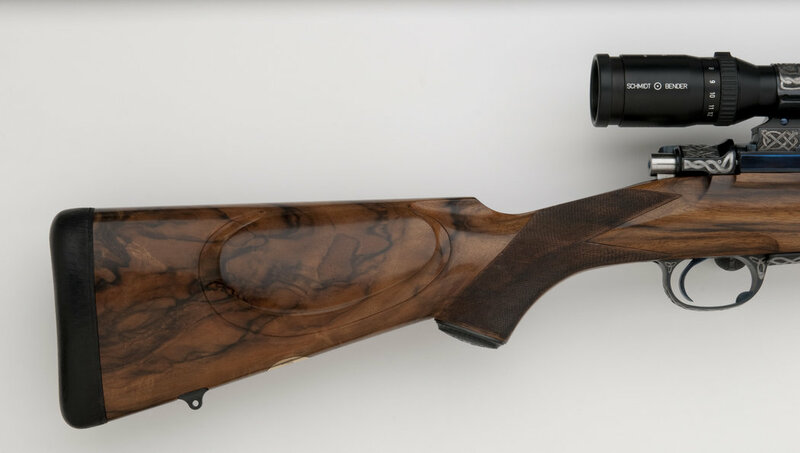 Whether you are building a rifle to hunt Elk, Plains Game, or specifically for Dangerous Game you will be right on target with a Ramirez rifle. 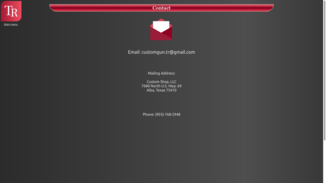 Truly custom and one of a kind. Premium 300 Winchester Magnum Mauser Action Square Bridged with Quarter Rib & Long Tangs, and slight Red Stain with 20 coats of Oil Finish. Todd enhanced this Leopard through a special process. Actions Available in Five Lengths with Drop Bottom Metal. 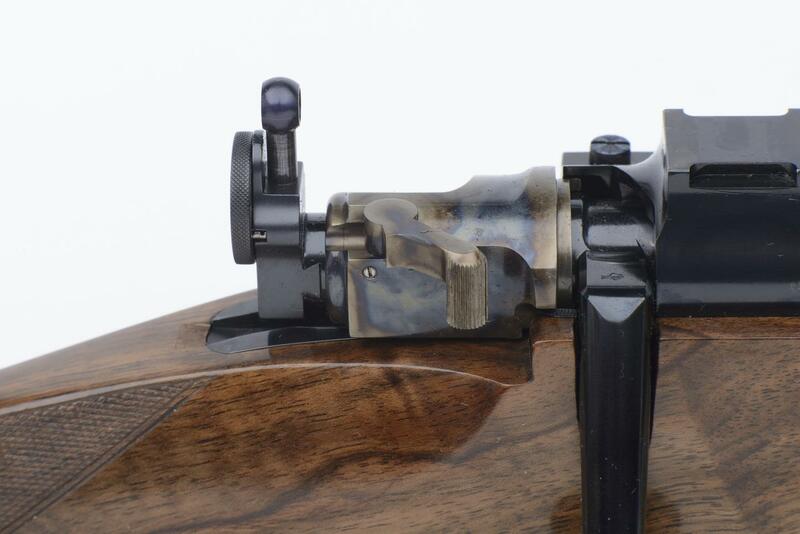 Three Position Safety and All Square Bridged. 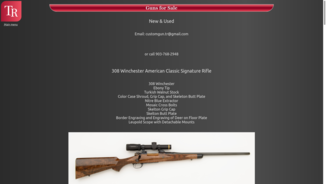 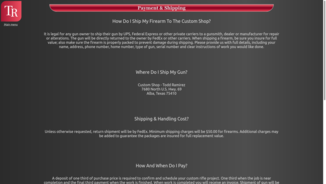 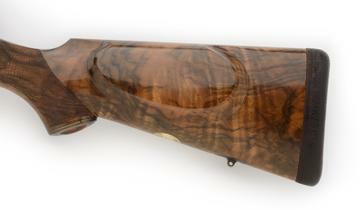 New American Classic custom rifle available in all standard calibers up to 458 Lott. 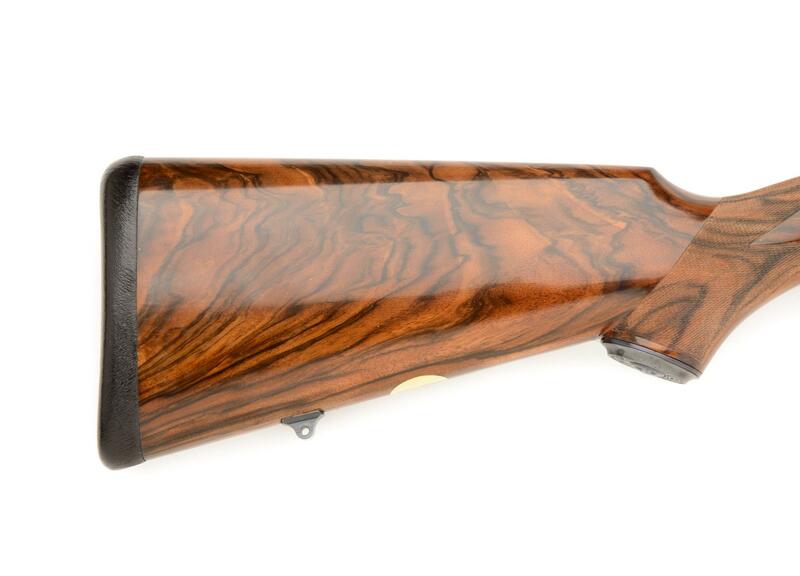 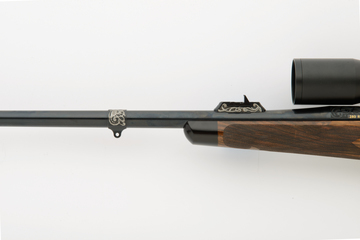 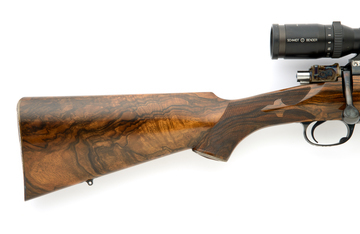 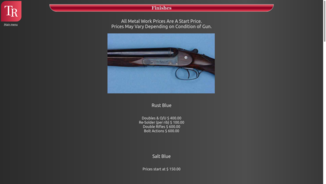 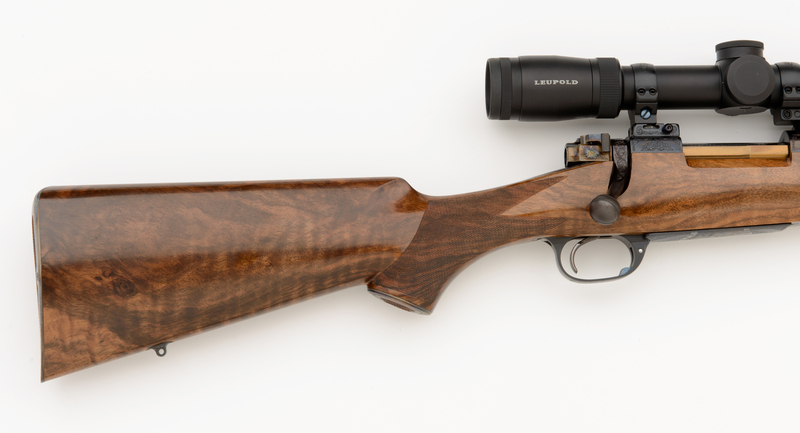 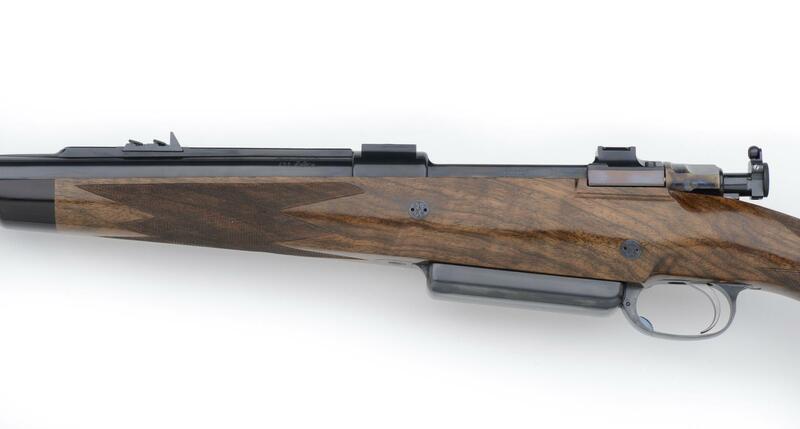 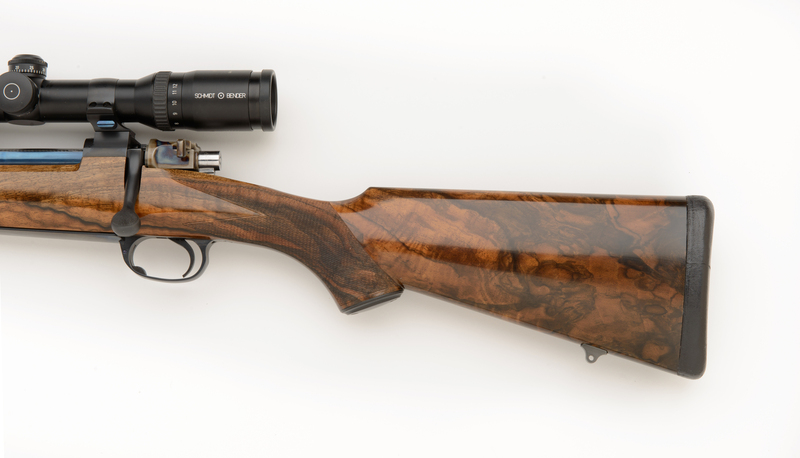 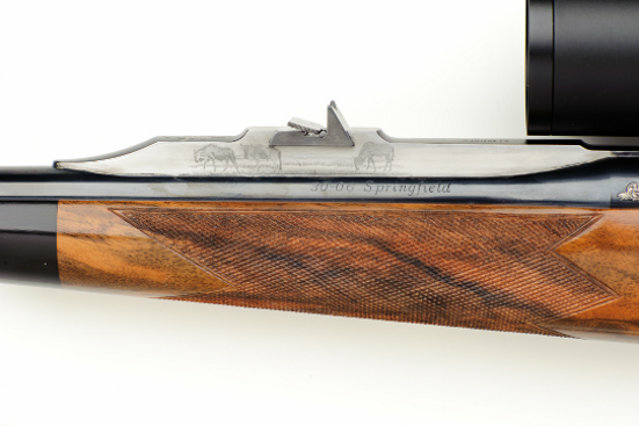 The American Classic is built identical to the Premium Signature Rifle. 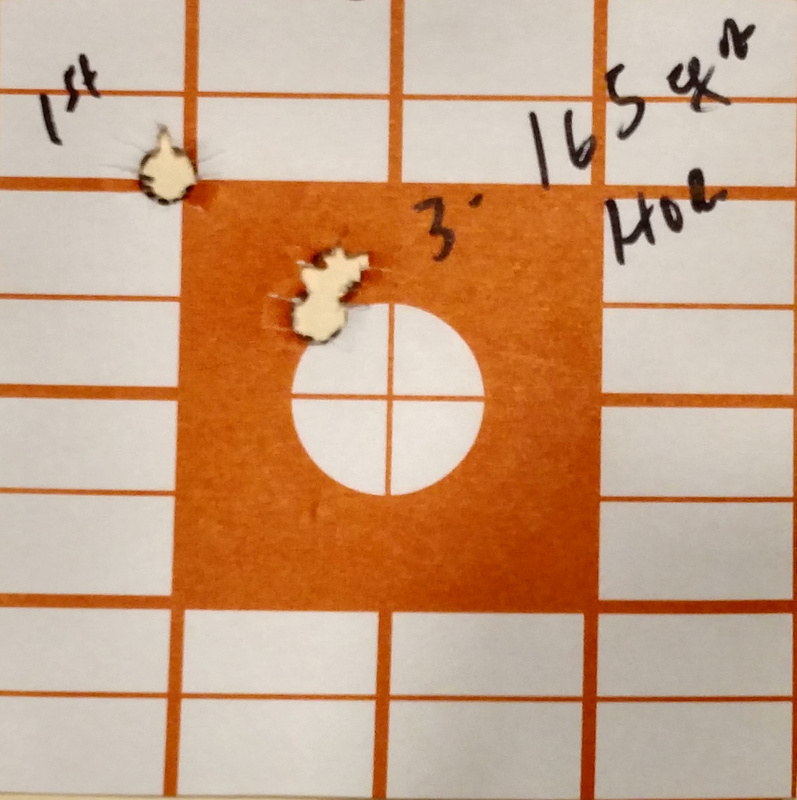 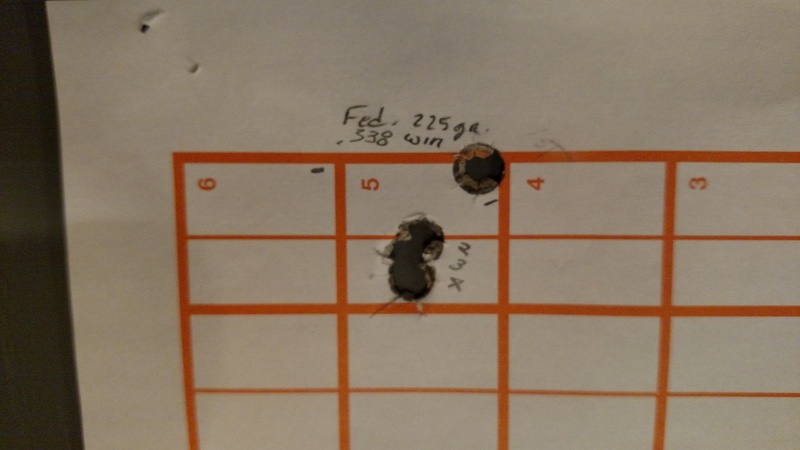 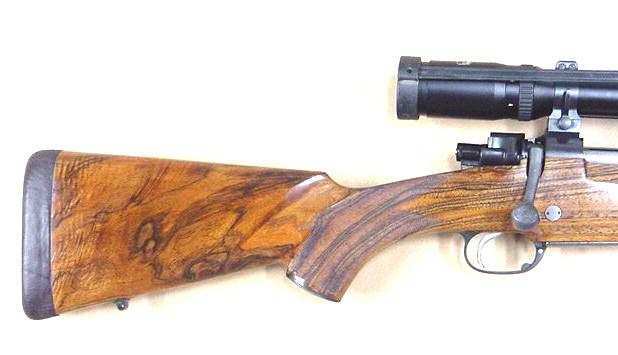 The only difference is in the stock design. 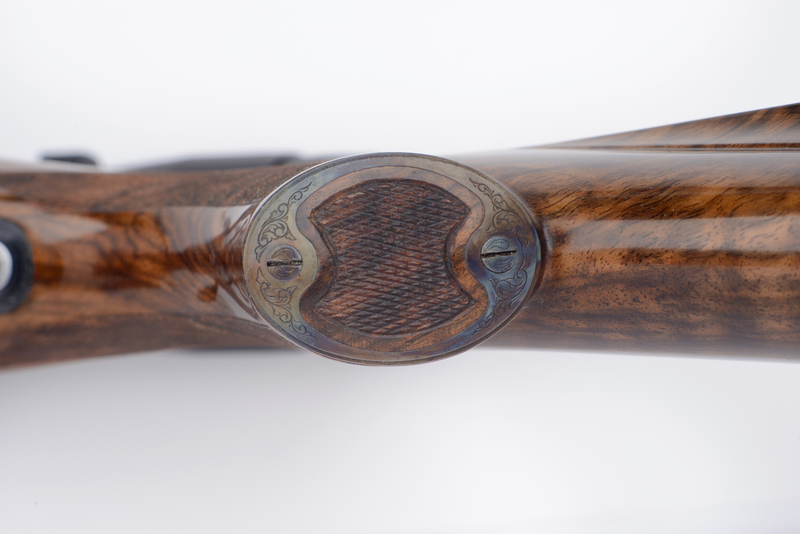 It is styled American Classic with a full cheek piece and a slightly fuller forearm and a round forend tip. 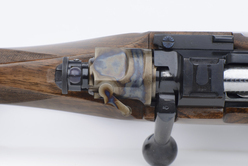 This rifle has added options of skeleton buttplate and gripcap. 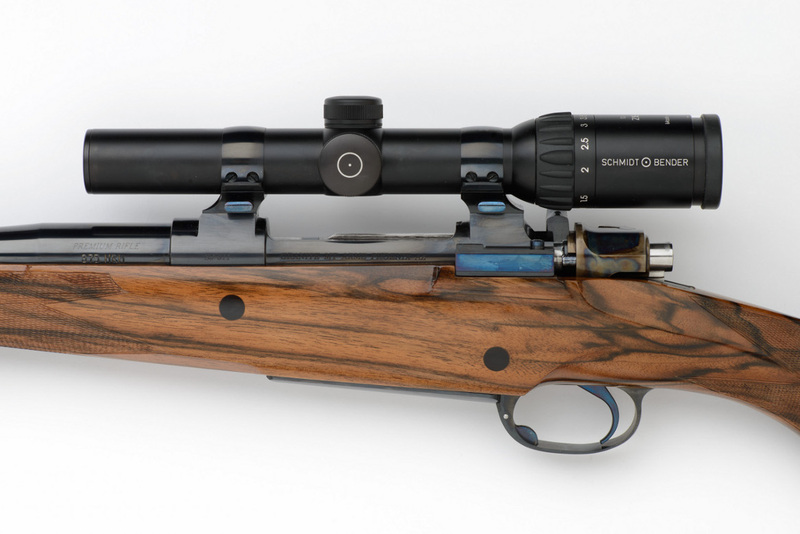 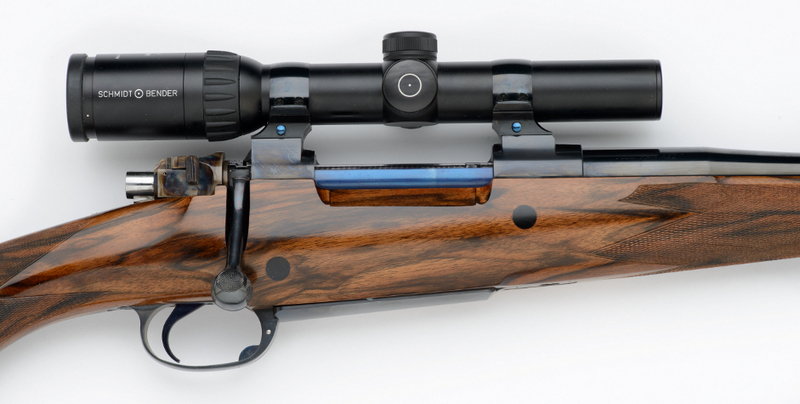 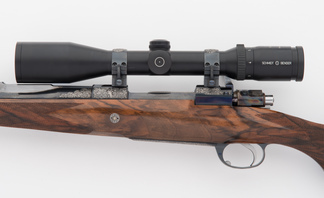 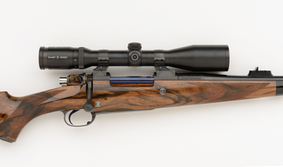 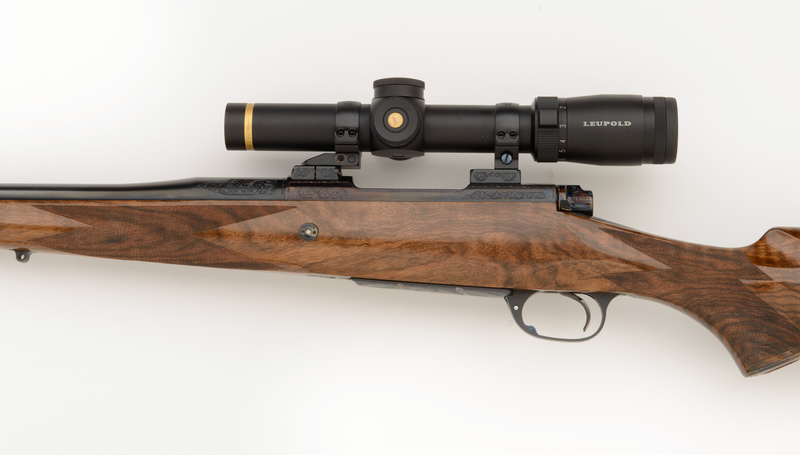 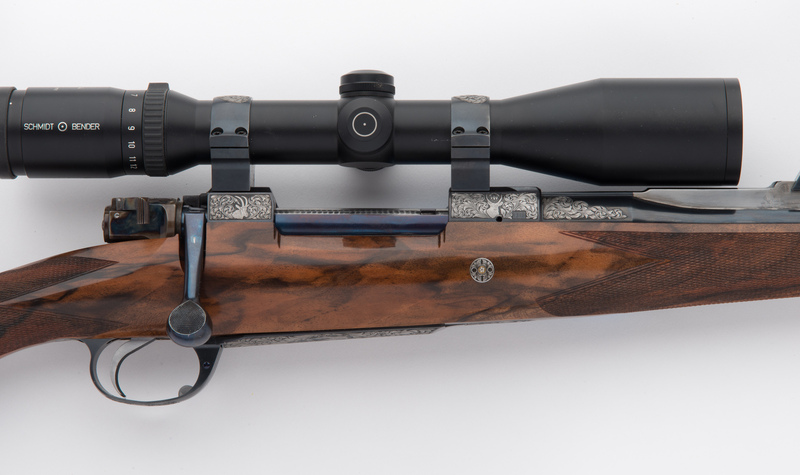 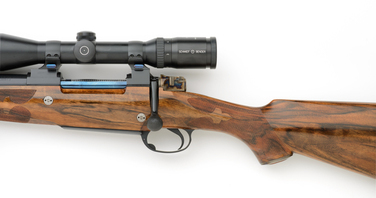 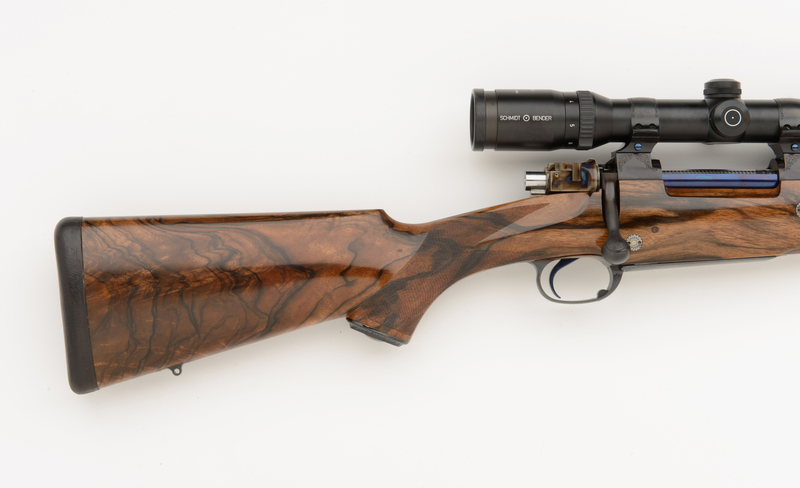 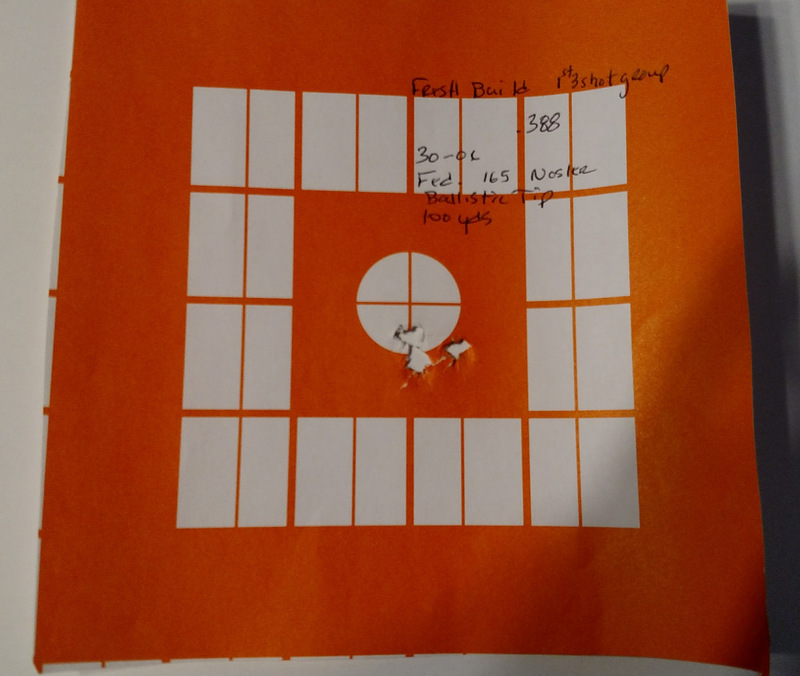 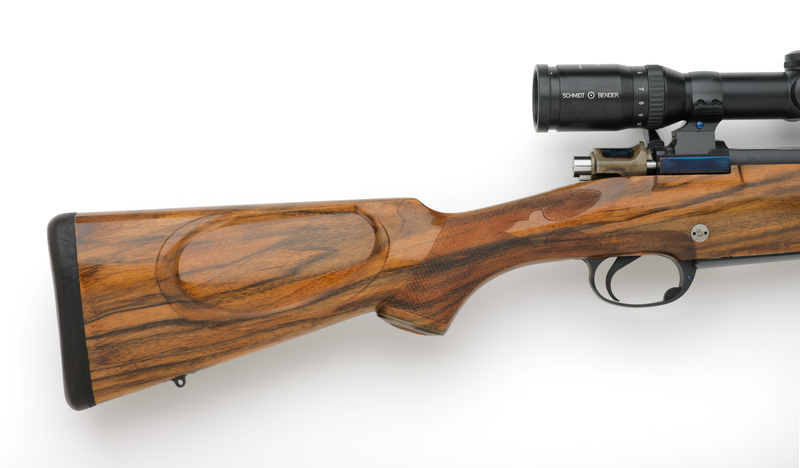 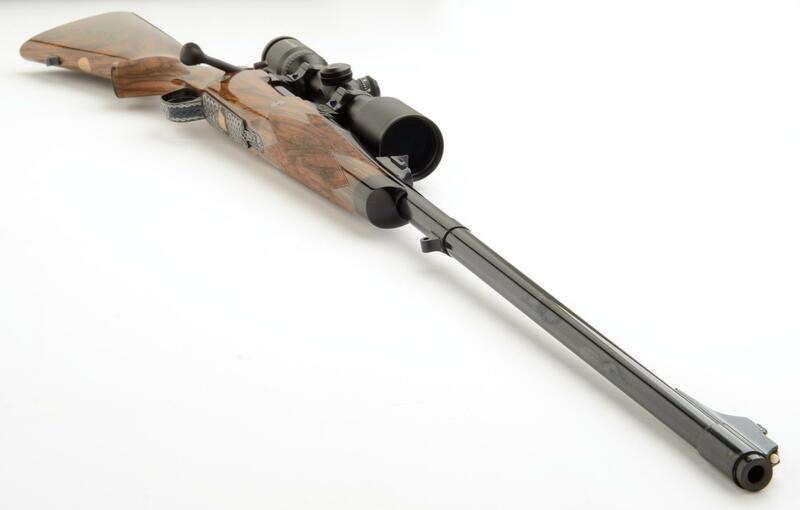 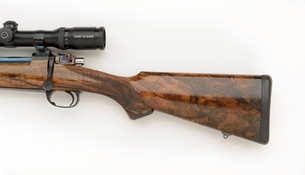 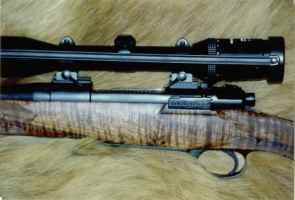 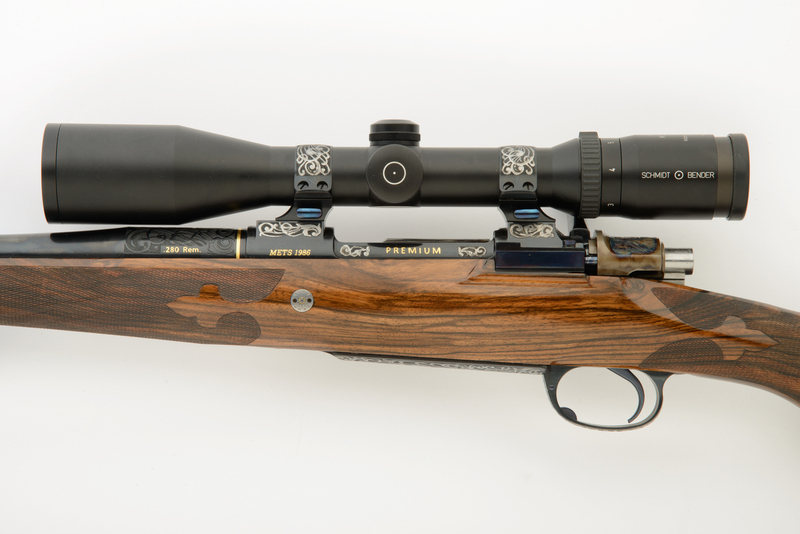 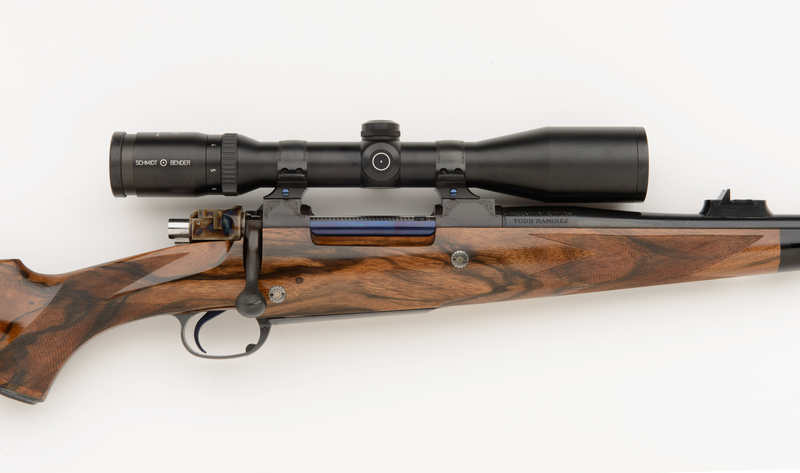 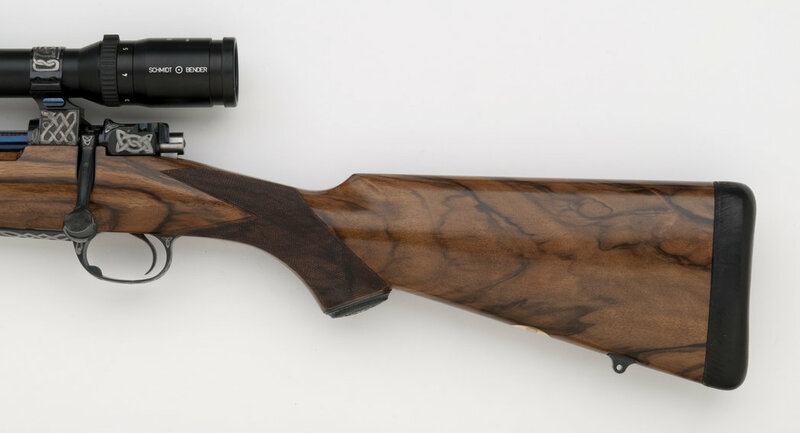 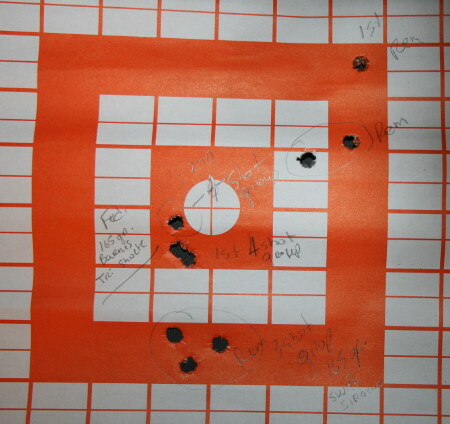 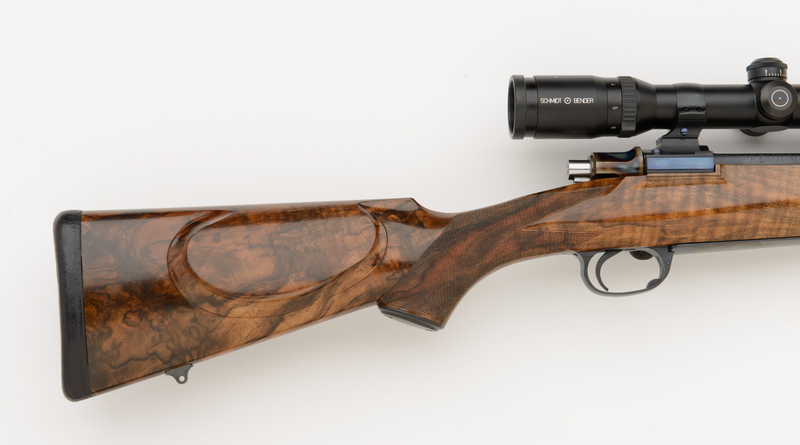 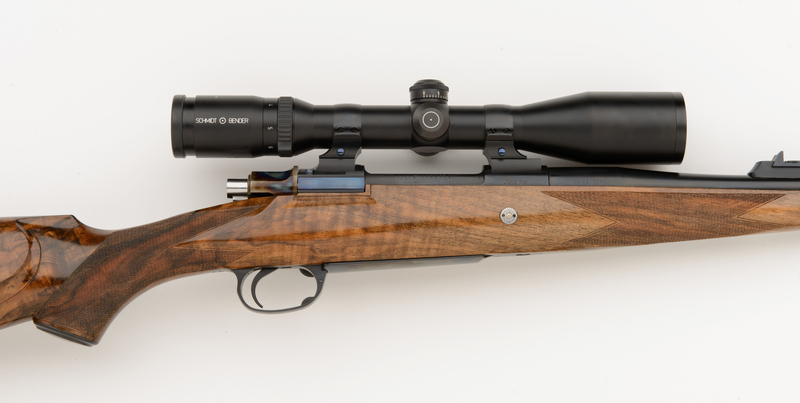 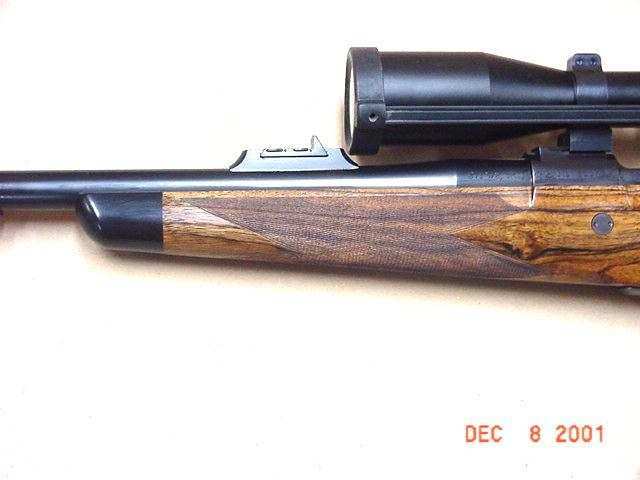 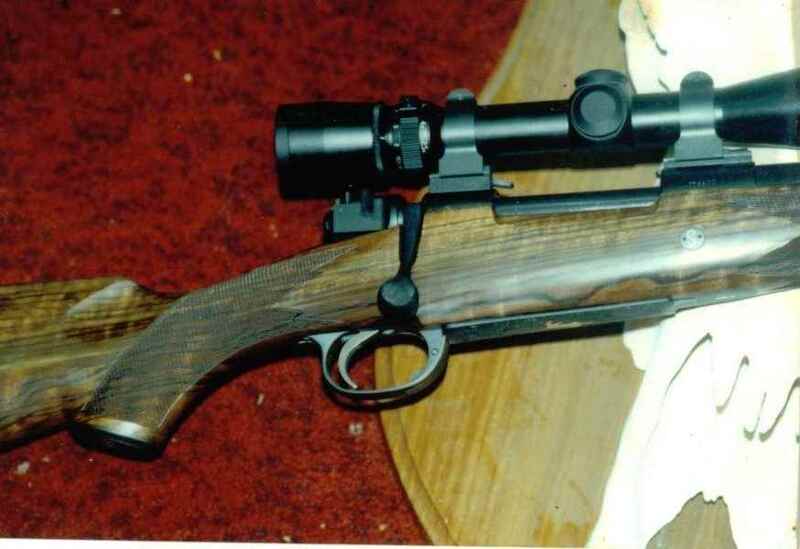 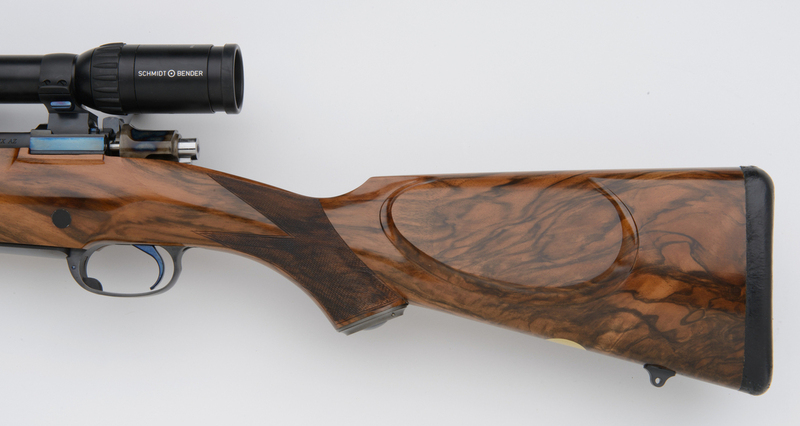 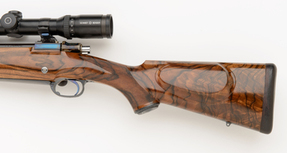 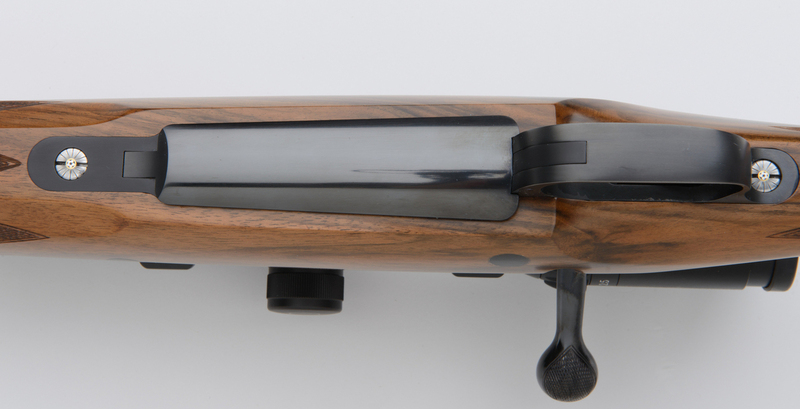 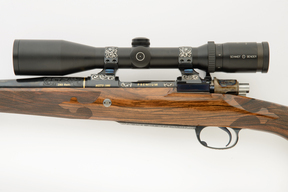 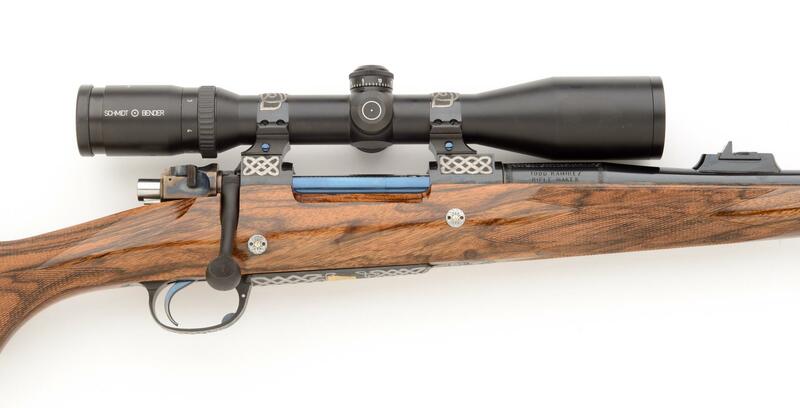 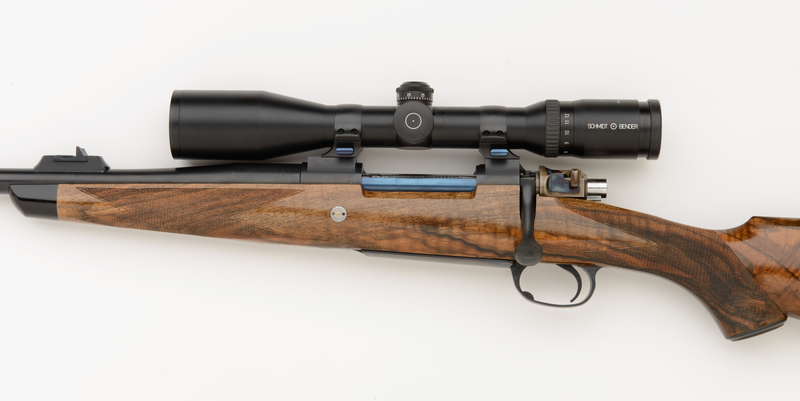 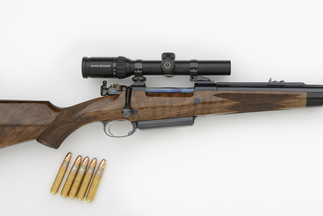 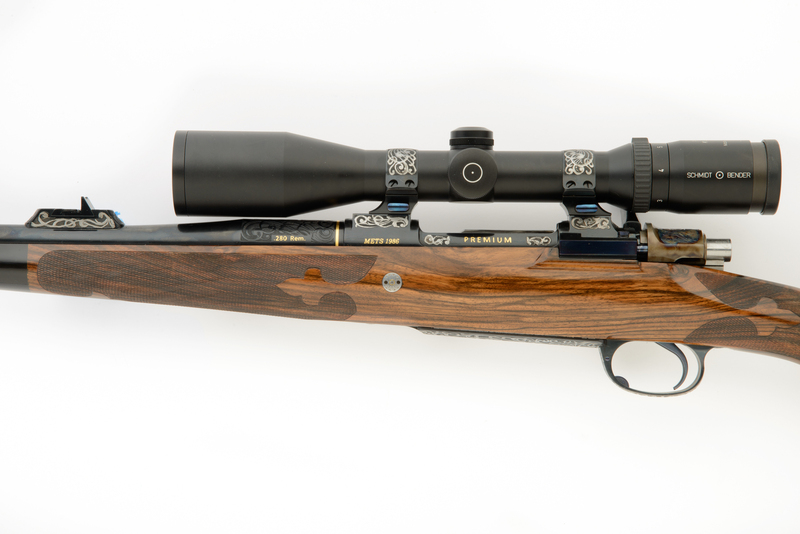 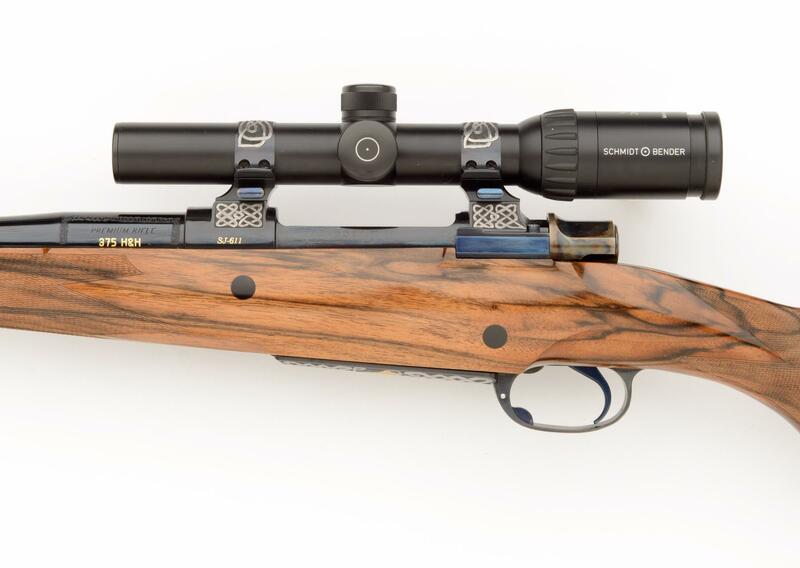 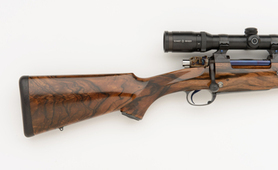 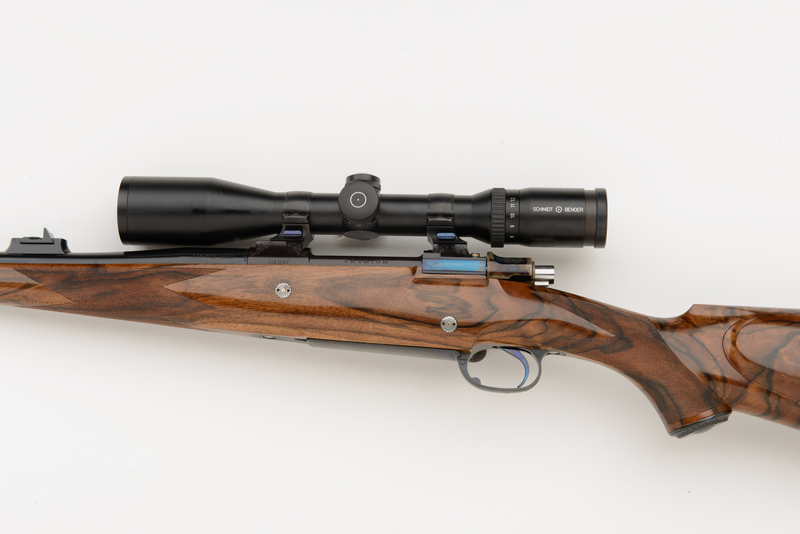 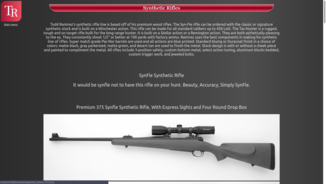 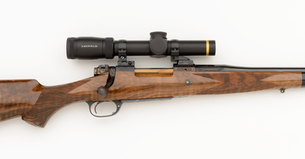 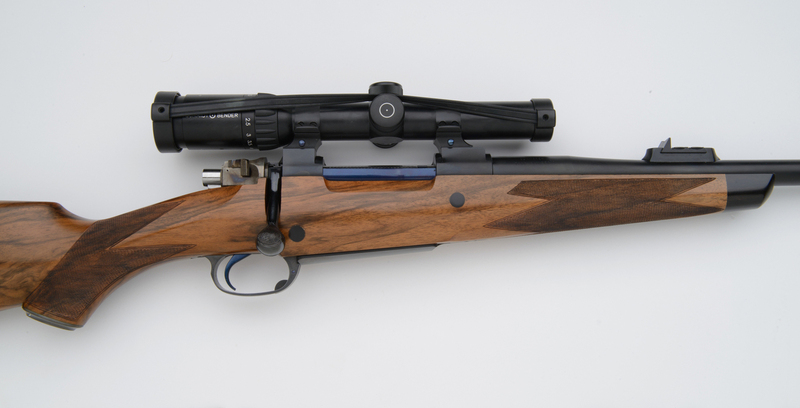 Rifle shown is a right handed 375 Signature with added options.